Super Value Pack for Xmas Gift,Play Doh Theme Party,Play Dough Toy and Prizes, Teacher Treats, PlayDoh Birthday Gifts, Easter Basket Stuffers and more! Learn About Shapes. 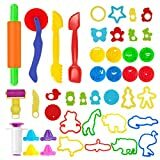 Dough Tools (Rolling Pins, Cutters etc.) Allow Toddlers to Practice the Ability of Hand-eye Coordination and patience as They Play. 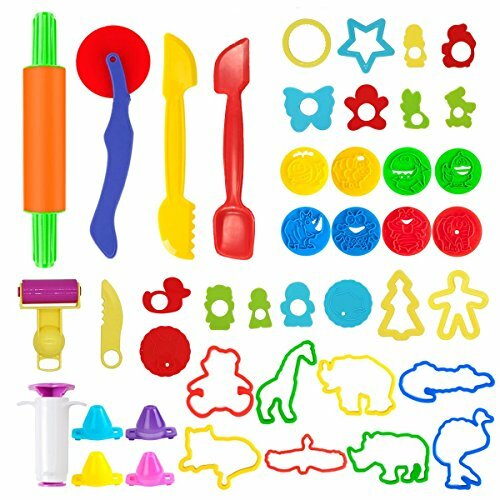 Attractive Assorted Bright Colors: Compatible to Other Brand Dough Tools Set. Perfect for the Classroom, Preschool and Kindergarten.